The central theme of this book is an invariant attached to an ideal class of a totally real algebraic number field. This invariant provides us with a unified understanding of periods of abelian varieties with complex multiplication and the Stark-Shintani units. This is a new point of view, and the book contains many new results related to it. 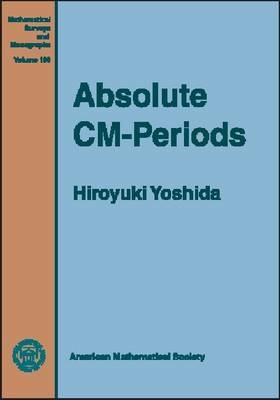 To place these results in proper perspective and to supply tools to attack unsolved problems, the author gives systematic expositions of fundamental topics.Thus the book treats the multiple gamma function, the Stark conjecture, Shimura's period symbol, the absolute period symbol, Eisenstein series on $GL(2)$, and a limit formula of Kronecker's type. The discussion of each of these topics is enhanced by many examples. The majority of the text is written assuming some familiarity with algebraic number theory. About thirty problems are included, some of which are quite challenging. The book is intended for graduate students and researchers working in number theory and automorphic forms.